Chad Hyatt has made a name for himself in Northern California and beyond by sharing his delicious spin on wild mushroom cookery at public and private events. 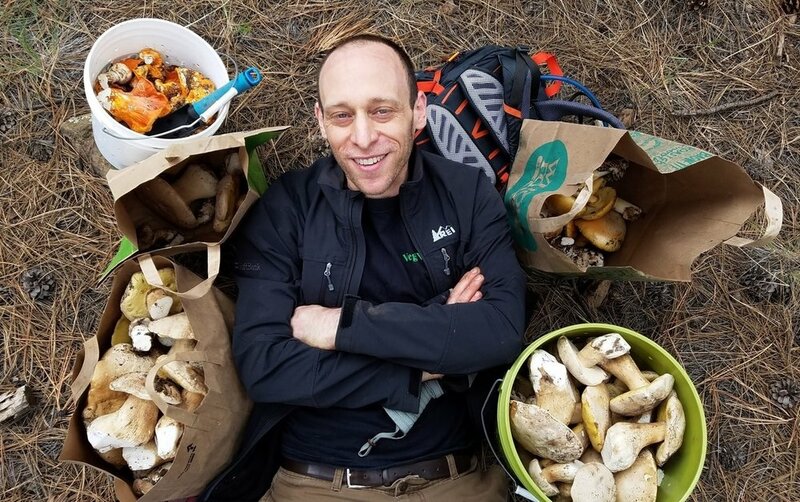 Both an expert forager and classically trained chef, he has cooked in a variety of restaurants and private clubs around the San Francisco Bay area, where he can often be found putting on wild mushroom themed dinners and teaching mushroom related classes. Chad's cooking career began more than a decade ago, after leaving an engineering career for culinary school. He has cooked in a wide range of kitchens, from Michelin-starred fine dining to opening a BBQ restaurant, and from country club to gastropub. He is passionate about approachable comfort food, based on local, seasonal ingredients, and, of course, wild mushrooms. Chad dove into mushroom hunting shortly after beginning his cooking career, and quickly gained a local reputation for eating the “weird mushrooms” that nobody else collected. As his mushroom hunting knowledge improved, his kitchen skills began to open up doors to cooking and teaching at various mushroom events in California and beyond. He still has a reputation for eating all of the weird mushrooms, though these days people often pay to share the experience.